From the 4G Americas white paper. 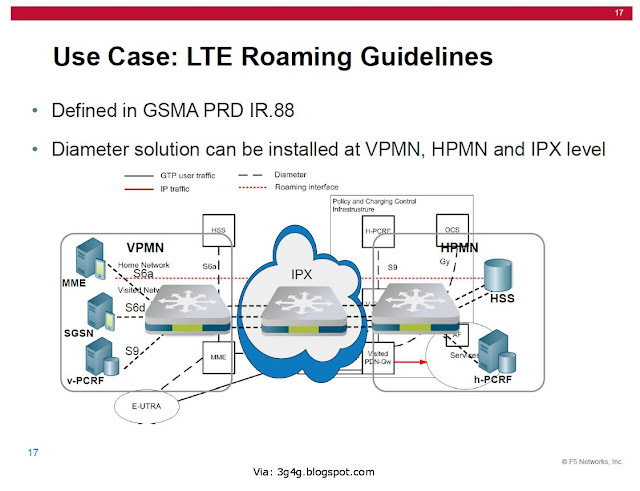 From a presentation in the LTE World Summit . 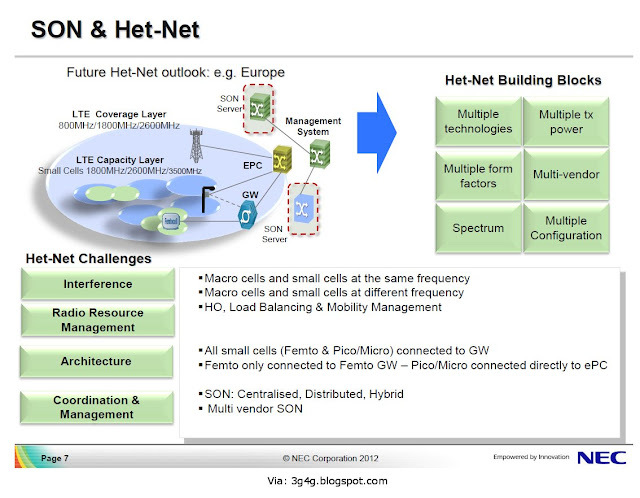 From a presentation by Prof. Shahram G Niri, NEC in the LTE World Summit, Barcelona. The complete presentation is available here. 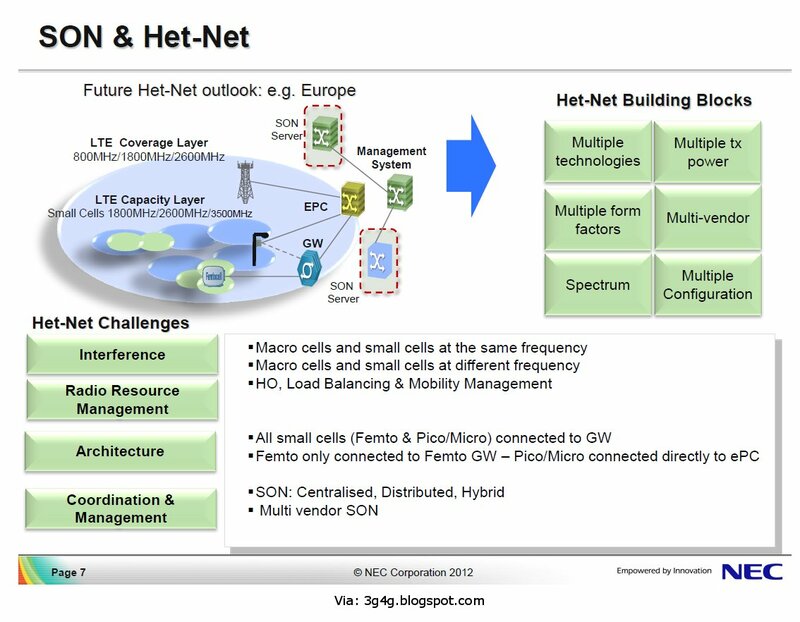 Interesting presentation by Thierry DUPONT, TDF in the LTE World Summit 2012. It has been slow but I am getting more and more convinced that AR can do far more than what we think it can. Part of my pessimism was due to the fact that this is placed on the Peak of Inflated expectations on the Gartner Hype cycle and was predicted to go to the trough. But in the end success depends of what the available apps are like. Part of my optimism stems from the fact that things have been changing rapidly. Take for example the 'Augmented Future' video. When I watched it I thought this would happen but maybe quite a few years down the road. Then came the 'Project Glass' video and suddenly you are thinking from 'how it would be done' to 'when will this be available'. The latest news I read was that the prototypes are being tested Google's offices. I am sure the first few releases would be far from perfect and will have few features, security issues, etc. but we certainly think its possible. I dont know its working but it could be actually synched with a device in your pocket and is just an add on that communicates via something like Bluetooth. These just go to show what can be done via Augmented reality. With more and more powerful devices that are available to us at reasonable prices, all that needs to be done is to create Apps and they will find the users trying to make most out of them. I have already posted some videos and presentations from an event back in March that talk more about the apps and the platforms here. You can read more about Tomi's idea on Aurmented Reality in his blog post here. From a presentation by Ericsson in the LTE World Summit 2012. Presentation available here. 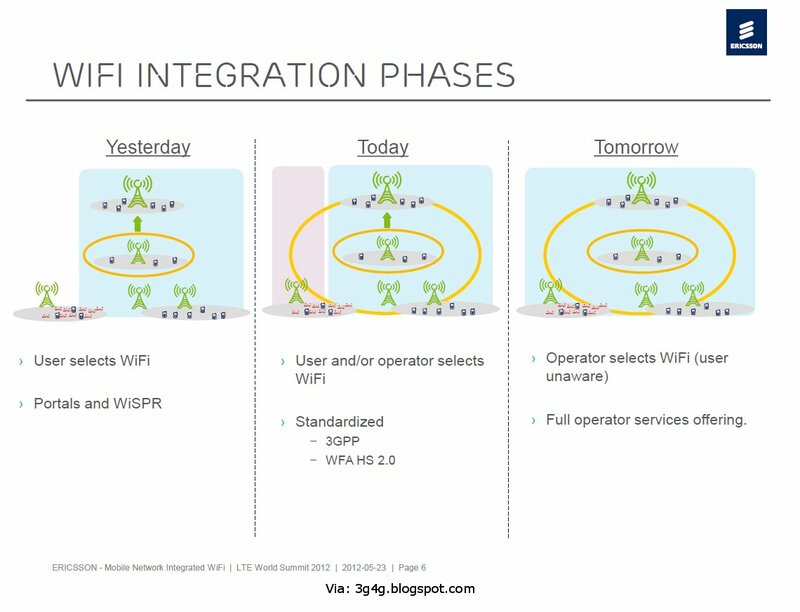 Operator WiFi is becoming an important proposition and there are advantages and disadvantages of both of them. The above picture summarises the phases in which it may take place. 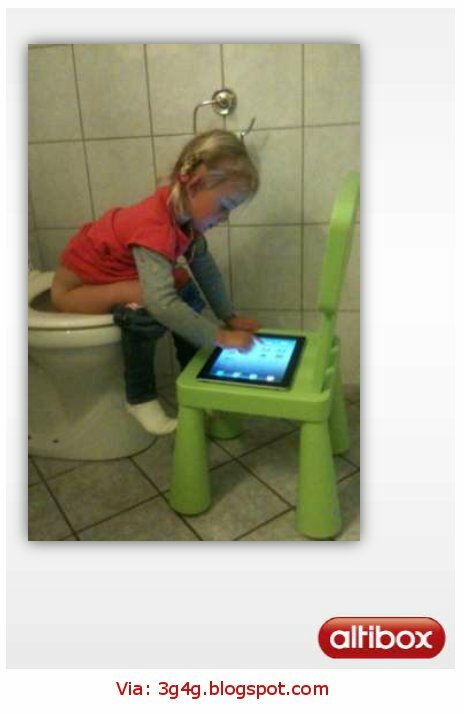 Maybe an opportunity for a 'tPad' or a 'toilet pad'. 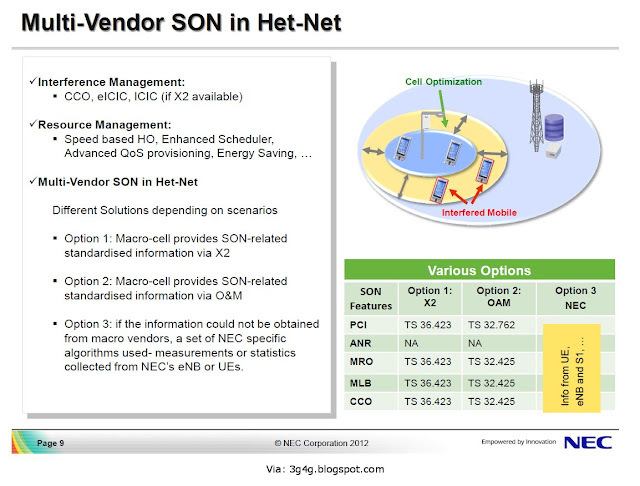 This is from a presentation in LTE World Summit 2012. The presentation is available here if interested. The 4th Future of Wireless International Conference (#FWIC) is 2 weeks away and the main theme of the conference is "The Reshaping of the Mobile Industry". In some of the recent conferences I have attended, OTT has been one of the main topic of discussion and a concern for the operators. The operators are at the top of the food chain, whatever affects them eventually affects the other players within the mobile industry. With this is mind, we have prepared a document that collects all the figures in one place to be used as a handy reference for quoting stats and figures. The above presentation is available to download from Slideshare here. The agenda for the conference is available here. I am also chairing track 4 on day 1, "Where next for devices" so please feel free to join us in the discussion if devices are an area of your interest. You can also connect with the other attendees of the conference on Linkedin here. Finally, here is my summary of the event from last year. I look forward to meeting all of you who will be attending this event. Over the last few months we have been thinking of so many ideas around small cells and this is something that we thought. 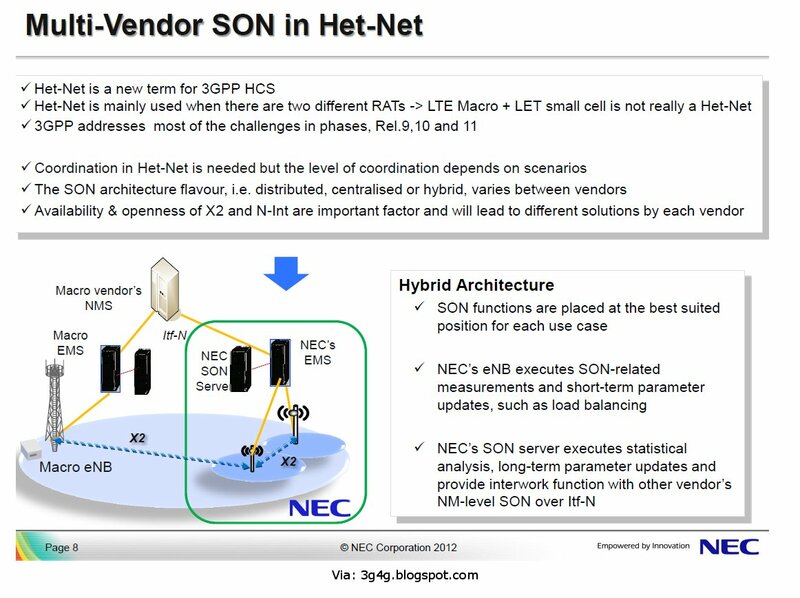 It looks very simple and straightforward and having talked to a few small cells experts, off the record, none of them seem to be able to see anything wrong with this concept. With the 'Small Cells World Summit' just round the corner I am sure this could be something worth a discussion. I am explaining the concept using an HSPA+ setup but there is no reason why this would not work in an LTE Setup. This is a typical connection for HSPA+ Femtocell setup with the gateway acting as a concentrator for all Iuh connections and having a single Iu connection towards the core. I have not shown CS/PS connection separately for simplicity. 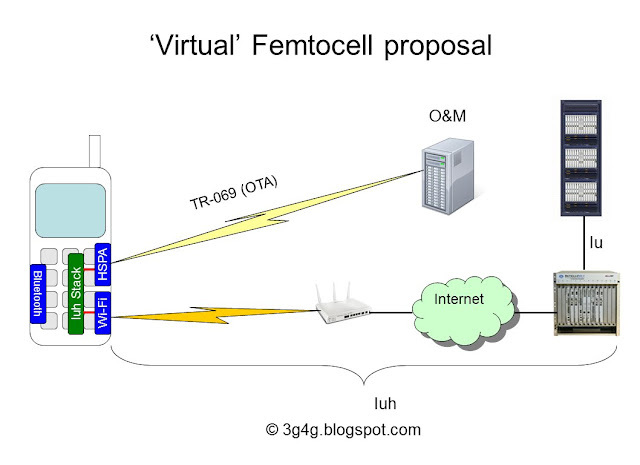 We propose a 'Virtual' or 'Invisible' Femtocell concept where we think that the Femtocell is redundant but the concept can be used to avoid the coverage and capacity problems faced by the operators and at the same time avoid the 'Signalling storm', atleast on the access network side. Now most smartphones have WiFi stack inbuilt. For this concept to work, WiFi in the phone is a must. 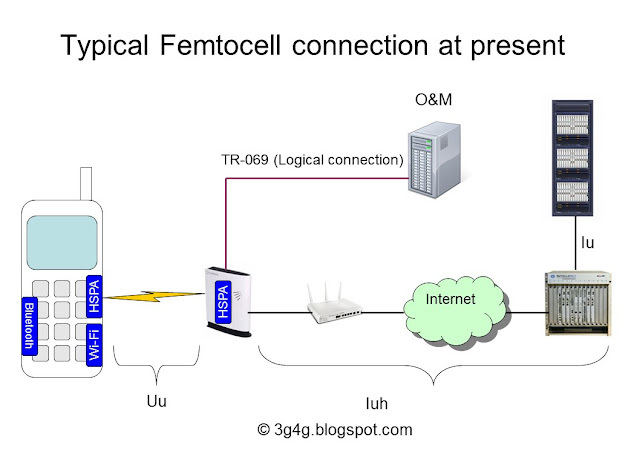 Instead of having a Femtocell in between, a modified stack could be embedded in the phone itself. The output of the phone over WiFi are the Iuh messages that can terminate at the gateway and no difference would be needed from the core network side. This is illustrated in the picture below. The phones would also need to have an enhanced UI to be able to allow a user to select only this option when roaming. You don't want a situation where the user thinks that he is camped on the 'Virtual' femtocell and making/receiving calls while he is not and run up a huge bill. 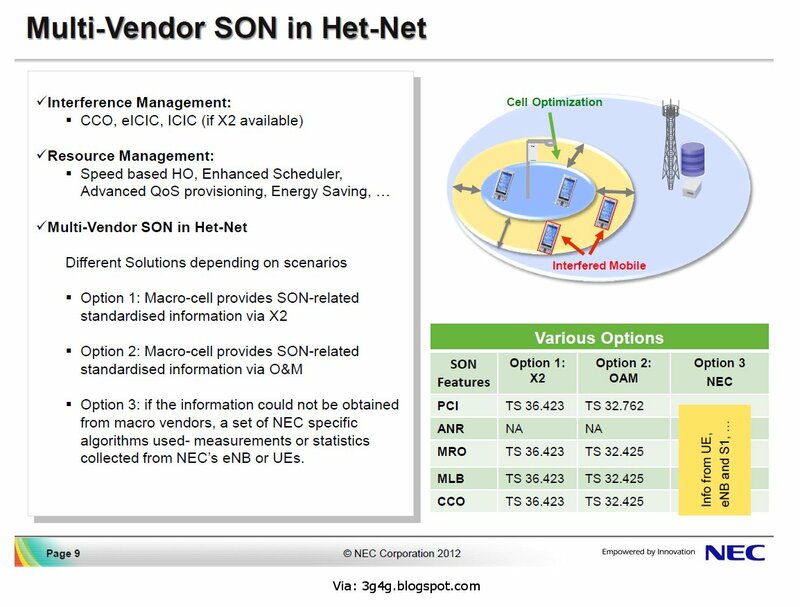 The Femtocells are no longer really needed and the end customer does not require to buy a separate equipment, which is different for different operators. The phones can be working whenever a reliable WiFi connection is available, even if they are abroad without incurring costly roaming charges. Some operators that do not have a lot of spectrum available avoid using Femtocells as they can cause interference and black holes in the coverage. There is no worry of a femtocell being used abroad illegally thereby causing interference with spectrum in another country. Some security issues can be totally avoided and it would be worth for the operators that the keys being used cannot be seen by others. A lot of people use OTT apps like Skype, Viber, Whatsapp when abroad, being camped on WiFi to avoid costly roaming charges. This approach would mean that the normal Voice and Messaging becomes similar to OTT and can help operator avoid losing out to the OTT apps. WiFi spectrum is already congested and does not always give reliable coverage. Security issues would have to be looked in detail to make sure this would be secure enough. Since this concept is similar to creating a VPN between the phone and the gateway, I wouldnt think there would be any issues though. Roaming revenues are a big cash cow for the operators, most of them would be unwilling to lose this if the phones are using this approach. 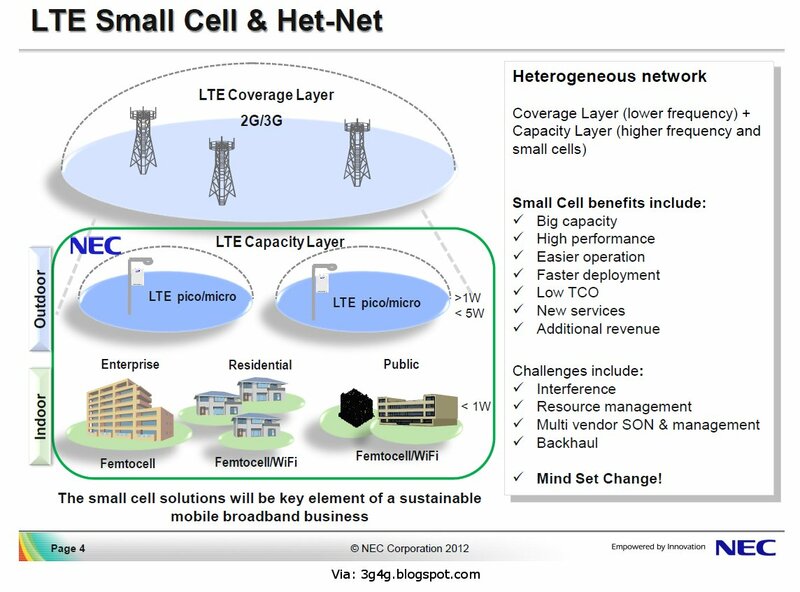 I think this concept is more suitable for the Residential Femtocells rather than the other Small Cells (enterprise, metro, pico, etc.) and there will always be a need for them. The main reason being that on a large scale, WiFi is extremely unreliable, prone to interference and not future proofed. A new device may cause interference that may take forever to resolve. Operating a small cell in the licensed spectrum would always make sense and the reliability would be much higher. If you think this makes sense please click the 'Useful' checkbox so that I know. As a company we are always looking to engage with other companies to discuss similar ideas. If you are a company dealing with Small Cells and are open to discussing similar ideas, please let us know. The Signalling Storm is coming, its not the question of 'if' but when. This was the unanimous message from the Signaling Focus Day of the 8th LTE World Summit 2012. Several high profile outages have been associated to the Signalling storm, NTT Docomo and Verizon being the main one. Luckily the Telenor outage was due to software issues. The problem is divided into two parts, the Access network part where the Air Interface is the bottleneck and the core network part which can easily be swamped by the overwhelming amount of Signalling due to more intelligent billing system and always on devices with background applications generating much more amount of traffic as would have on an older system. Lets look at them in turn. As I reported earlier, Diameter has been highlighted as a way of salvation for the operators with dozens of use cases but due to its immaturity has caused outages and have given it a bad name. As Connected Planet mentions, "According to one signaling expert, launching the iPhone’s browser, for example, instantly sets off about fifteen individual network signaling requests. Beyond that, 4G network software elements supporting increasingly sophisticated mobile service scenarios “talk” to each other at rates that traditional TDM/SS7-based networks never had to deal with." Hopefully a stable implementation of Diameter protocol will help not only solve the signalling storm but will help generate new models for charging and revenue generation. 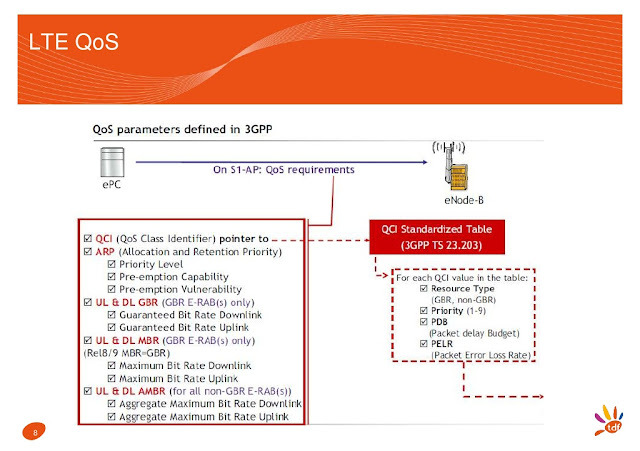 A presentation by Ed Gubbins of Current Analysis, comparing the big vendors of Diameter Signalling is available here. My thinking is that the Core Network Signalling problem will become an issue some years down the road whereas the Access Network Signalling problem will be seen sooner rather than later. 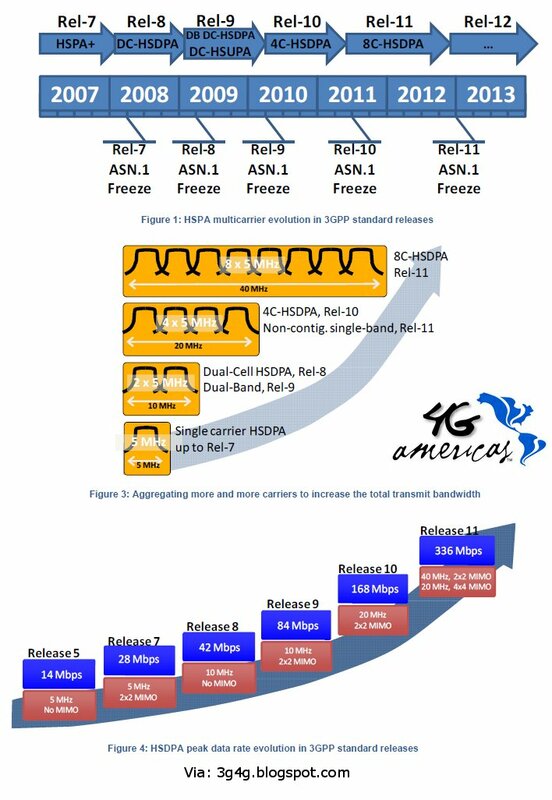 In fact for 3G/HSPA the problem is becoming more visible as the market has matured and more and more users are moving towards using smartphones, Since LTE rollouts are in its infancy (in most markets) the problem is still some way away. One of the reasons for Signalling storm is the incorrect APN name. I reported earlier about Telefonica's approach to solve this problem by using 'Parking APN', see here. 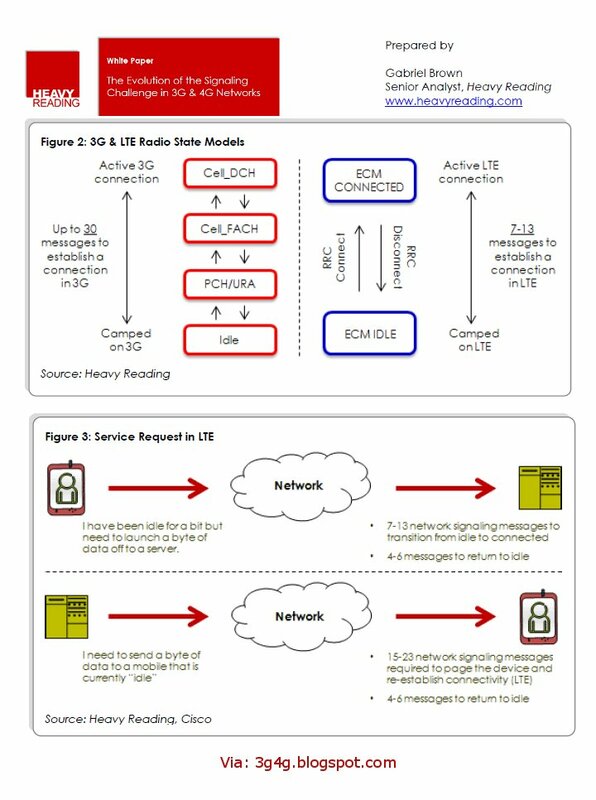 Finally there is an excellent whitepaper from Heavy Reading titled "The Evolution of the Signalling Challenge in 3G & 4G networks", available here to download. Another excellent article summarising the problem is from Huawei magazine available here. Presented by Tiago Rodrigues in the ITM Optimisation event in Prague on 18th April 2012. There is another paper by NSN on the same topic that is available here. From the 8th LTE World Summit, 23-24th May 2012, Barcelona, Spain. 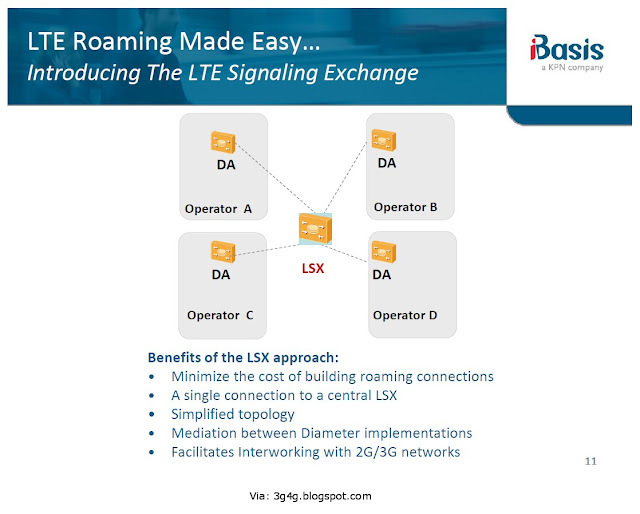 Interesting to see that iBasis has proposed LTE Signalling eXchange (LSX) as a way forward. 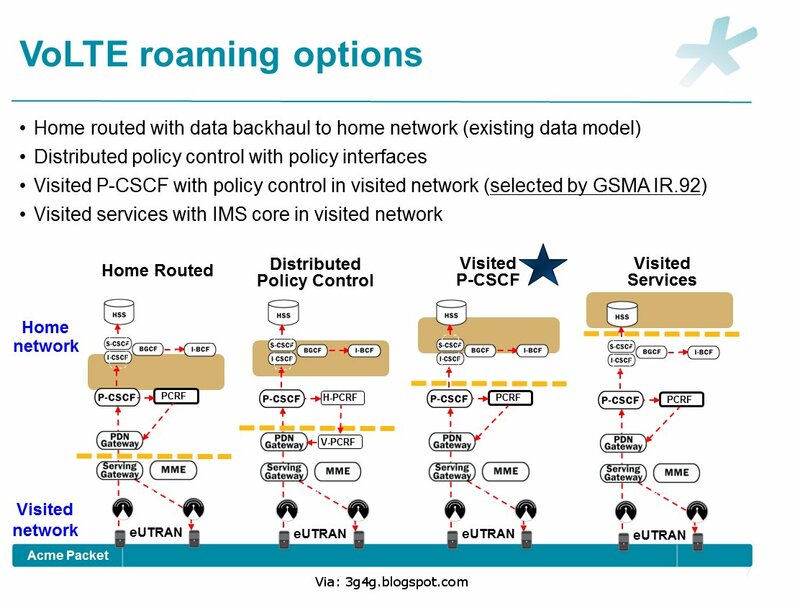 A presentation from Acme Packet (for an earlier conference) has interesting VoLTE roaming options proposal. Finally, while everyone was focussing on LTE-LTE roaming, only Diametriq was looking at LTE-LTE/3G/2G Roaming. The relevant part of their presentation is embedded below. Happy to hear more on this topic if anyone else wants to contribute. Please feel free to add comments.